I bought some new kites recently. Tricky decision on what to get, but I went with the single strut Airush Ultra v2, in a 7m and 10m. First impression - they are incredible kites! As soon as I first launched the kite (in very gusty conditions) I felt so comfortable and in control. The kites are incredibly easy to fly! I was concerned about single strut kites not handling well in gusty conditions or when really powered up, but I'm finding the Ultras have a massive wind range and with the huge de-power from the bar throw they are perfectly well behaved! The canopy does not flap like I was expecting and remains stable. The kites fly fast, and it's very hard to make them fall out of the sky - even if you go into a gybe and carve before turning the kite, it's very hard to get underneath the kite, it will drift and keep flying! 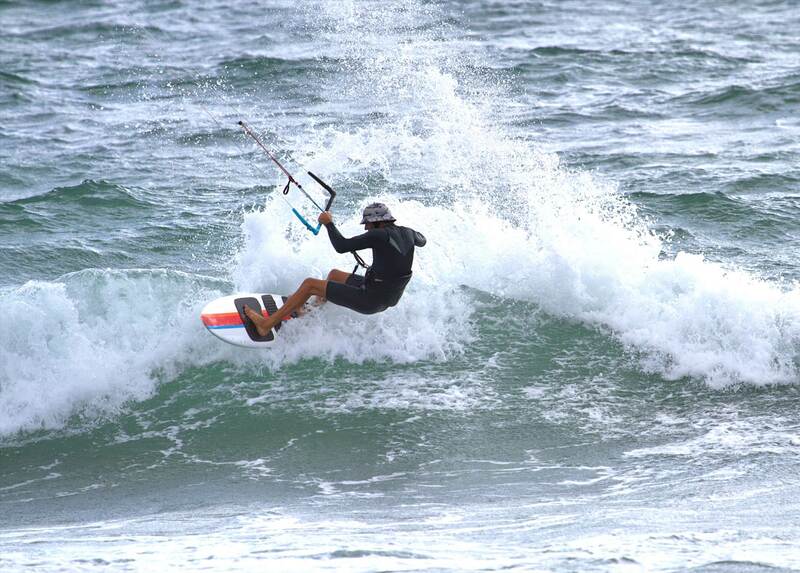 The kites are perfect for wave riding, plenty of drift and they were covering up my moments of bad flying/timing! I am an intermediate kiter, enjoying strapless wave riding and sometimes a few jumps and flat water on the twintip, these kites are absolutely perfect for me! Did you ever ride the 1 ultras? Would be nice to compare. I own the first series 7m and 9m. They are my go to kite for everything. Float in zero wind. Do find the 7m does not like 30+ knots. According to the local distributor, the 9m and smaller V1 kites are identical to the V2 except for colours. Realistically then you could only compare the 12m (possibly 15m?) which might not translate directly to the smaller sizes anyway. How is the canopy compared to a normal kite? do you find it more light/delicate? It seems 1 strut kites are the future...how many size do you think you can "save", compared to a normal 3-5 struts? Hello Duff15, I didn't have the original Ultras. It is nice with the Ultra v2 to have the 10m option! I'm just under 70kg and don't plan to be using the 7 in 30+ knots, I'm aiming for 15 to 25 knots! i was thinking to get a 5 or 6m wave for when it gets really windy. PusherII - The canopy feels and looks very strong, absolutely no concerns there, the whole kite feels very solid when flying too. I did expect for it to be flapping like crazy in a gust or when sheeting out, but that's not the case! I don't think you save much really. The low end may be fractionally better but unless you are changing boards it won't help enough and the high end is probably similar when you are strapless but nowhere near as comfortable on a twintip as a 3 strut kite. With a surfboard and a regular 12m I can get close to 11 knots. With a foil and an ultra 9m I can kite in 10 knots. So I have saved a kite there but at the cost of a foil and new board (and I still have that 12m anyway because its fun so ...... ). I get where you are coming from but in the real world when I pack to travel to a kite destination I still leave the single strut at home and just do something else in light wind. Its another 'get the right tool for the job thing'. All the different single strut kites seem to have a different purpose so you can't just pick a cheap one and expect it to fit what you need. I have owned a few over the years and the ultra is working well for me. I dare say the alpha looks pretty good too. Some of the minor brands offerings look pretty good (Gong etc) so there is plenty of choice out there. But its no miracle format. It just works well for lower powered riding and light winds. I watched a video from mike, a British guy who works for airush. He says the ultra v1 s and v2 s are exactly the same in sizes 9m and below. He said anything they changed with the original design was not an improvement. So they changed the graphic and that's all. 10m and above is a different kite. i have a 12m ultra v1. It is my favourite kite. On a surfboard I get going in sub 10knts @ 74kg. The downside- 16knts and I'm stupidly overpowered. I will replace it a 10m when it dies, to kite 11 - 20knts. Not clever enough to give a direct link to the pod cast, go to you tube and search - ' everything you ever wanted to know about light wind kites '. Tantrum guy interviews mike Baird. Everyone needs to find the time to listen to that talk from Mike Birt! Very interesting. The part on the Ultras starts about 20mins in. From my interpretation, it sounds like you all need to think about upgrading to Ultras!! (unless you are into boot style freestyle, massive jumps and racing). 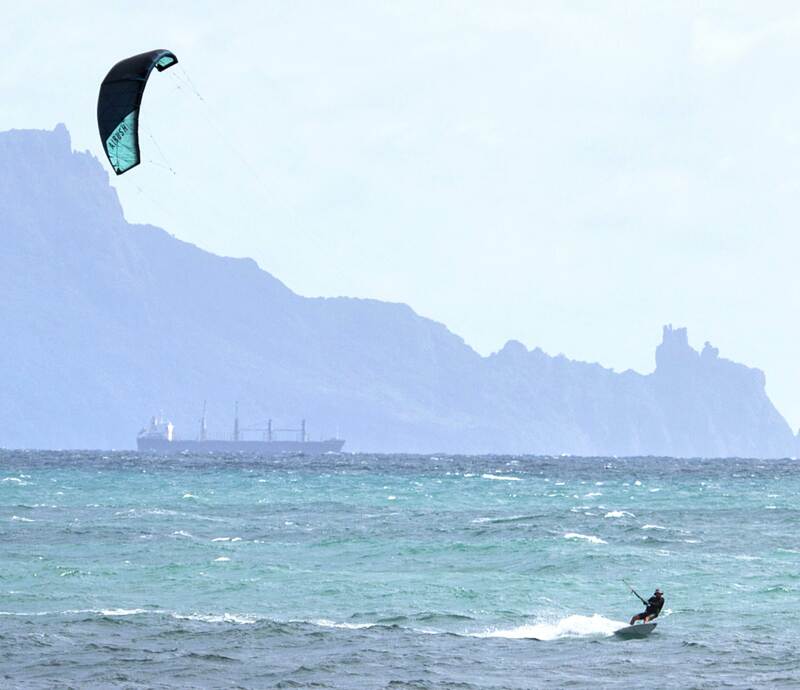 I had another epic session on the 7m with surfboard yesterday in light wind. The wave zone at the edge of the beach was very gusty and at times barely any wind, but I found the kite can turn still with no power, and then generate speed. Even when all lines went loose in a lull standing on the beach the kite did not fall!! How do you reckon a bigger ultra V2 would fare with a 100kg Rider and a door stytle board? A friend rides the v1 12m on a regular twin tip at 95kg and it handles just fine. Its no light weight only toy. I think that Christian uses a door and the large Ultra to teach on in sub 10 knots so its definitely doable but its worth him buying one to reduce the sessions when he can't work. You could get a fair few wakeboard sessions for the price of a big kite. Weebzy do you know when the ultra v3 will be available? Then you bring waves in to the equation and it all changes. 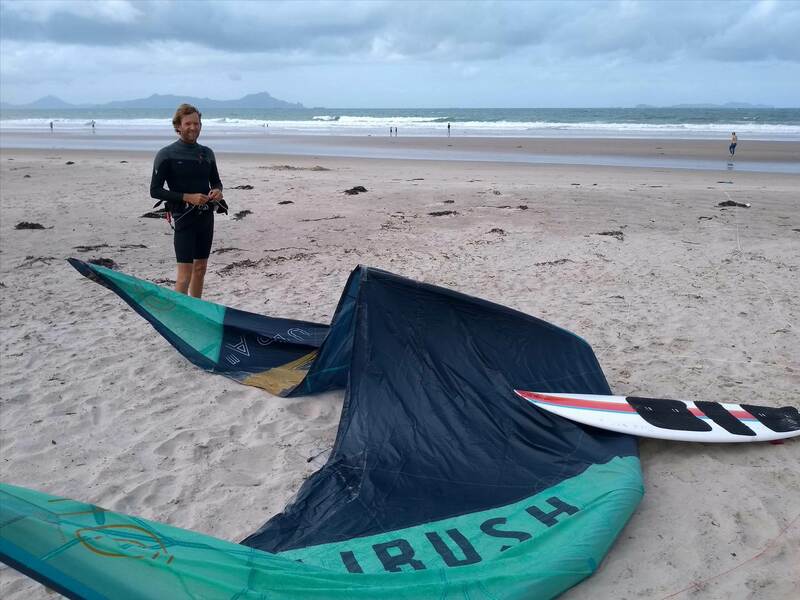 The 10m got a great review by iksurfmag, sounds perfect as a foiling kite too. As I have mentioned many times before I am a big fan of the ultra, I have actually had my all time best wave sessions on the 9m ultra but that was also because of the spot and conditions. For cross offshore conditions this is my kite of choice. In those conditions I will often choose to ride a little overpowered on the 9 ultra than use my 7m wave. the drift and depower are what makes it special for those conditions. Also it hammers up wind so gets you back to the lineup quick. I have never had a kite that goes up wind so well but also drifts so well. Drift is quite a tricky thing to measure but after extensive use in the surf and foiling I can say it drifts better than any other kite i have used including- airush wave, bws, cabrinha drifter. Upwind is also better than any wave kites or free ride kites i have used like the pivot or ss turbine ( that was 15m though) for foiling the upwind ability of the ultra really matches the upwind ability of the foil, it doesn't feel like it's holding you back like a lot of other kites. This isn't some sort of miracle kite though, there is a trade off in that top end is reduced (more so for use with a twin tip,less apparent on a surfboard or foil) also the turning is not as fast/clean/crisp as the airush wave. It's still good but not as good as the best. Also power delivery is not as smooth as the airush wave ( or other wave kites I have tried) it can tear across the window quite aggressively at times and can rip you off your board but that's only an issue when you're really powered up. In cross onshore conditions where you need to really whip the kite around and riding really powered up the ultra is not as good as the wave kites I have tried.